I’m a member of the ARM & HAMMER Influencer Network and received complimentary product samples to facilitate my review, as well as compensation for my time, but all opinions are my own, as I’ve been a loyal ARM & HAMMER user for years. I find my nose and throat are always dry at this time of year. Did you know that a dry nose is more vulnerable to colds and the flu virus? This is because there’s not as much wet mucus in there to catch the icky germs you breathe in. What’s more, having the heat on all the time carries all the dust and allergens through the air and throughout your home! Which leads to even more irritation to your sinuses. We use a humidifier in every bedroom, but I find that for some of us, that isn’t enough. Unlike my husband, who pops a pain killer for everything and anything, I rarely take medicine. While I’m not opposed to using medication when necessary, I definitely prefer to use natural products if possible! For me, it’s about being comfortable. I find that making myself feel good usually soothes whatever ails me. It may be using a heating pad to ease the pain of menstrual cramps, taking a steamy shower to clear my stuffy nose, or sipping on hot tea when my throat hurts… I try to always go the natural route before I open the medicine cabinet. Against my better judgement, my husband likes to use a nasal spray with a topical decongestant in it when he’s stuffed up. He says it’s the only way he can sleep at night. The warning on the bottle says to not use it for “more than 3 days” but sometimes he’s used it more. I’ve read that it can become addictive and that freaks me out a little bit. Addicted to a nasal spray? Ugh! Of course he was skeptical at first. He doesn’t like change. But he’s been using it for a couple of weeks with no complaints. I think he might even be snoring less (or I’m just sleeping through it). Take a look at the ingredients: purified water and sodium chloride – also known as salt. No contents (or drugs!) I can’t pronounce, plus it has no side effects and is non-addicting, so it can be used as often as needed… yay! And if you’re really sick, because Simply Saline doesn’t contain any drugs, it can be used in combination with other medicines for faster relief. Why am I paying for… salt water? Well, I’d say the little container it comes in is worth the price. It provides a gentle mist, with the attached adaptable nozzle, and the contents remain sterile throughout its use. You can’t say this about a neti pot or similar nasal rinsing devices… which can be dangerous if not cleaned properly! We’ll continue to use ARM & HAMMER™ Simply Saline™ Nasal Relief throughout the winter and into the spring allergy season. When you think of ARM & HAMMER™, you usually think of the little yellow box of baking soda. While that is probably my favorite product, it’s just one of many great things the company makes. Visit ARM & HAMMER’s website to learn more about Simply Saline Nasal Relief and other ARM & HAMMER products, including where to find them. Be sure to sign up for the ARM & HAMMER Savings Center to get coupons and connect on Facebook at facebook.com/armandhammer. YOUR TURN: When it comes to cold and flu season, how do you simplify and save? Let’s end the year with a BANG! 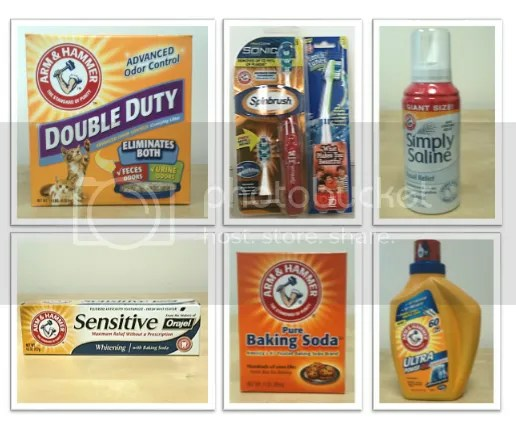 Another ARM & HAMMER GIVEAWAY! When I’m congested, I boil a pot of water and inhale the steam to clear up my sinuses. I drink hot tea with honey and lemon. Also, homemade chicken soup always makes me feel better! I drink natural teas with lemon and honey. I will also take a warm shower and let the steam help my sinuses! Hot tea with honey, chicken soup, and rest! I have a cold now and I have been using hot tea with honey and lemon. It helps a lot!! I use hot tea with honey and lemon to help. I love drinking hot tea with lemon! I drink orange juice and take steamy showers. Lots of rest, hot tea, and extra vitamin C.
I stay hydrated with water and get lots of rest. Honey, tea toast and a good book curled up in my chair. I swear by hot tea with honey, and chicken soup, of course. I use tea with lemon! I take a hot steamy shower. It seems to open up my sinuses. Tea and Honey for a ore throat! We drink hot tea with honey, and gargle with salt water. I drink hot tea and eat chicken noodle soup. I eat lots of clementines, they have tons of vitamin c! I use saline nasal drops daily, drink lots of fluids, get plenty of rest. 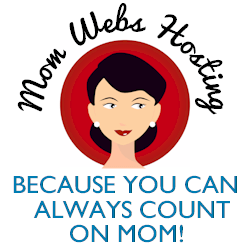 Rona B´s last blog post ..Happy New Year From BerryMorins Bits And Tips! Chicken soup and tea w/ honey. I keep fresh eucalyptus in my shower to help with opening up sinuses. I also do a lot of herbal tea and honey, or iced tea with ginger. Drink a lot of water and try to stay away from extreme temperatures. vitamin c and rest helps me! For a sore throat I gargle with warm salt water and drink tea with honey. Chicken noodle soup to help a cold. Peach syrup (heavy syrup, not the light stuff) to help calm a sick stomach, and we recently discovered that lemon juice (real lemon juice) about a tsp, a TBS of honey and 3/4 cup of water mixed together seriously helps relieve a cough! Thanks for the giveaway. pot of water and inhale the steam to clear up my sinuses. Hot shower, humidifier, warm jammies, water! I take hot steamy showers to help relieve congestion. Marj McClendon´s last blog post ..Silent Night! First, I get my flu shot. Then I drink hot tea with lemon and honey. Saline solution to unstop nose congestion, steam to ease breathing., and lots of chicken soup! I use a vaporizer and drink tea with honey. a vaporizer n hot steam in bathroom… losts of rest n fluilds.. I try to stay hydrated by drinking lots of water to flush out my sinuses. stay hydrated, eat plenty of fruits and vegetables, and hash hands. We drink plenty of fluids and use a humidifier. Plus we take vitamin C.
We use a nettipot. Is that natural? lol We also use honey for coughs. I use hot tea and honey. Get extra rest & sleep. Drink lots of water. I use a vitamin c and echinacea supplement. A drop of Thieves essential oil on my tongue each morning – thank you. Saline sprays, lots of water, stay warm. eating a whole clove of garlic.. does the trick every time. Sleep. I don’t know how much it helps, but at least if I’m sleeping I don’t have to be dealing with feeling sick. We like to drink hot tea with lemon and honey. Also, for congestion, we will cook with lots of pepper and hot sauce. im a big fan of tea and honey! Oh I guess I just let it runs its course…other than I do drink alot of hot tea to help! I drink hot tea with honey and lemon to help my sore throat and cough. Drink lots of tea with honey, and make sure I get my vitamin C! I take Coconut oil, Oregano Oil, Vitamin C and sometimes use a Neti Pot. Vitamin C, handwashing, drink lots of water. I take a steam shower and use a humidifier. Hot tea with honey and a steamy shower. We use the neti pot. I like drinking tea with honey, and taking a hot eucalyptus bath! We use a humidifier and take in a lot of vitamin c.
I drink tea w/lemon and local honey and I make chicken noodle soup and put Italian spices in it.